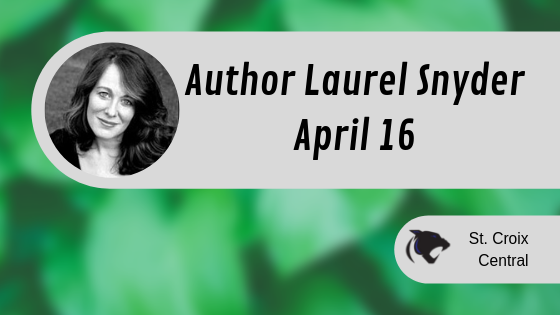 We welcome author Laurel Snyder to St. Croix Central on Tuesday, April 16th! Snyder is the author of many books, including Charlie and Mouse which was the 2018 Theodor Seuss Geisel Award winner. She writes picture books, early readers, and novels for middle grade students. Community book signing, there will also be light snacks, desserts and refreshments. Questions can be directed to Megan Elmhorst at the elementary.